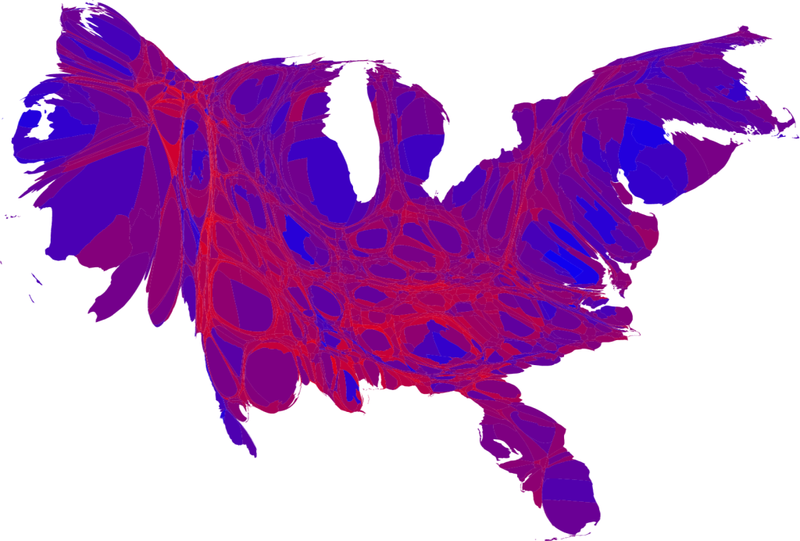 A guy named Mark Newman (no relation that I know of) has made some pretty cool maps showing the results of the most recent election. He also explains that a cartogram is a map in which the sizes of states are rescaled according to their population. As you know red plus blue makes purple.